Watercolor Burgundy Red Navy Floral Rustic Boho Wedding Invitation Card. Perfect for a fall wedding. 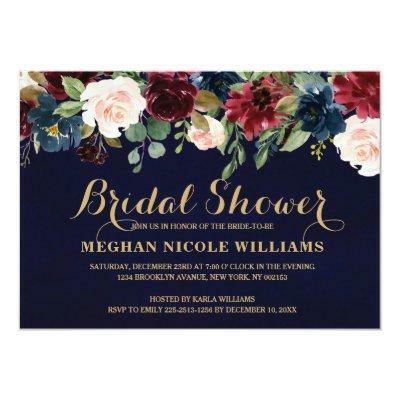 The design features a stunning bouquet of burgundy / Marsala , peach , navy flowers with matching leaves. Please find more matching designs and variations in my "blissweddingpaperie" store. And feel free to contact me for any custom requests.